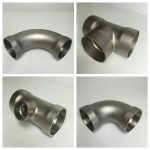 Trucking Industry - Truck Fittings - Bestweld Inc.
Bestweld was incorporated in September 1981 and is a veteran owned and operated company. 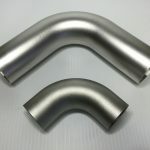 Bestweld employs over thirty people that work hard to manufacture high quality pipe fittings and to create innovative, problem solving, pipe fitting solutions. Bestweld will work with our suppliers and customers, as partners, to continuously improve our products and services. The delivery of high quality, superior products leads to the success of Bestweld and its business partners.